10 mini-cars plus a multi-action garage to service them all. You'll find it only at Sears. dispatch cars right or left into parking stalls. pkg. below. Hong Kong. Order car sets below. 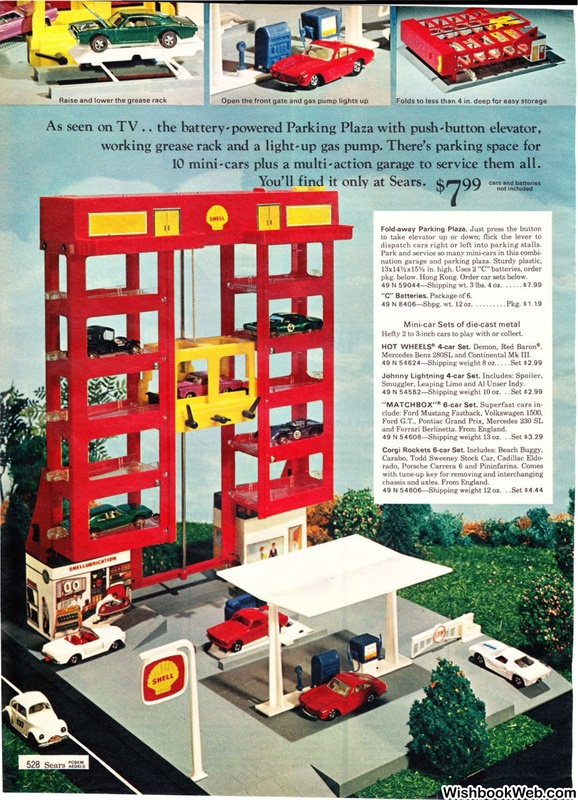 Hefty 2 to 3-inch cars to play with or collect. Mercedes Benz 280SL and Continental Mk III. Smuggler, Leaping Limo and Al Unser Indy. and Ferrari Berlinetta. From England. chassis and axles. From England.